Much has been written about the sinking of the South Korean corvette Cheonan, and the evidence is widely regarded as clearly pointing to North Korean culpability. In the Western press, the case has generally been presented as solid and irrefutable. The tragedy is seen as one more example of North Korean perfidy. Yet, doubts persist. The JIG concluded that the Cheonan was sunk by a “shockwave and bubble effect” from an explosion set off by a homing torpedo, which caused “significant upward bending” of the center keel. A bubble jet effect is created when an explosion takes place underwater and creates a dramatic change in pressure, resulting in the formation of a strong column of water that strikes its target with great power. In addition to the upward bending of the stern and bow sections at the point of severance, the JIG found “water pressure and bubble effects” on the bottom of the hull, and the ship’s wires had been cut with no sign of heat. All of this evidence is consistent with the JIG’s conclusion that a shockwave and bubble jet effect from a exploding torpedo was the cause of Cheonan’s sinking. (2) As further damning evidence, components of a torpedo were brought up by a two fishing trawlers in the proximity of the site of the sinking. The components appeared to match that of a diagram the South Korean military had in its possession of the North Korean CHT-02D torpedo. Inside the propulsion system of the torpedo were written with blue magic marker ink in Hangul characters “1 beon” (number 1 ). This was similar to a North Korean training torpedo that the South Korean Navy had obtained seven years before, in which there was written “4 ho” (unit 4). According to one expert on North Korea, “North Korea does not frequently use the term beon.” (3) However, it cannot be said that infrequent usage rules out the possibility. The evidence appeared inarguable, yet from the first it was apparent that there was a troubling lack of transparency in the JIG’s approach, typified by the secrecy surrounding the investigation. The report itself remains concealed, and the public is expected to accept on faith that the JIG’s conclusions and brief explanations are backed by the evidence. Various alternative causes of the sinking were briefly addressed by the South Korean Ministry of Defense. (4) The possibility of a floating contact mine was rightly dismissed due to the lack of signs of a contact explosion. However, most modern non-contact mines rely on creating a shockwave and bubble jet effect to sink ships. In general, the Ministry of Defense considers the possibility of a sea mine having caused the explosion as “unlikely,” given the maritime conditions and fast currents in the shallow waters around Baengnyeong Island where the Cheonan sank. Moored mines are rarely used in deeper waters, where currents and swells are stronger than they are closer to shore. According to Retired Rear Admiral Chris Bennet of the South African Navy, “Their major use is therefore limited almost exclusively to coastal or territorial waters.” (5) In other words, it is in areas such as around Baengnyeong Island where moored mines are best suited. But the South Korean Navy’s “detailed search” of the seabed failed to locate the anchor that a moored mine would have needed. No details were given to indicate the extent of the search beyond that one phrase. Bottom mines rest on the seabed and are ideally suited for deployment in shallow waters, but the JIG dismissed the possibility of such a mine striking the Cheonan because it “cannot split a ship when detonated at a depth of 47 meters.” That was the depth of water at the location where the torpedo components were retrieved. However, when it sank, the Cheonan had been sailing in waters that were no deeper than 30 to 40 meters. (6) According to the Robert S. Strauss Center for International Security and Law, “bottom mines tend to work in relatively shallow water (less than 164 feet).” That translates into just under 50 meters, well within the range necessary to have struck the Cheonan. (7) However, the JIG calculates the distance of the explosion as just three meters from the Cheonan’s gas turbine engine. (8) If the JIG’s calculation of the explosion distance is correct, then that would preclude the possibility of a bottom mine. There is another type of mine, one which the JIG did not address in its summary of findings. That is the rising mine, which is similar to a bottom mine in that it sits on the seabed. Where it differs is that it contains an acoustic sensor, and when a ship approaches, the mine is programmed to float upwards and explode at a set distance beneath the hull. In essence, the result would be the same as a non-contact torpedo, creating a bubble jet effect. In shallow water, such mines tend not to be moored, hence there would be no anchor. (9) There is also the torpedo mine, which when detecting an approaching ship, opens up and fires a torpedo at its target. (10) This possibility, too, was not mentioned in the JIG’s summary. The centerpiece of the case against North Korea is without doubt the torpedo fragments retrieved by trawlers. At the JIG press conference announcing the results of its investigation, a diagram said to be that of the CHT-02D was displayed. It was not until over one month later, after critics had pointed to discrepancies between the diagram and the torpedo fragments, that the JIG admitted that it had shown a diagram of the wrong torpedo, the PT-97W. This was said to have been caused by a “mix-up by a staff member while preparing for the presentation.” (11) That such a mistake could be made is indicative of a careless attitude concerning evidence. While the presence of RDX would be consistent with a torpedo attack, it cannot on its own be considered as proof of that. Consider that when Canadian authorities intercepted the Princess Easwary as it was transporting illegal immigrants, swabs taken from the ship showed traces of RDX. No torpedo or mine had struck the Princess Easwary. Its past history of gun-running meant that the mere presence of explosives had been enough to leave a residue. (17) The Cheonan, as a military vessel, routinely carried explosives and engaged in naval exercises. Among the Cheonan’s armaments were six Mark 46 torpedoes, two Otobreda 76 mm guns, two 40 mm Bofors guns, and twelve Mark 9 depth charges. (18) Both torpedoes and depth charges utilize RDX, and the bursting charge of projectiles fired by Bofors contain RDX. (19) Certainly, explosions from test-fired depth charges would have spread RDX around rather liberally. The recovery of torpedo fragments in the vicinity of Cheonan’s sinking appears persuasive. It is a strong point in support of the South Korean government’s argument. Yet, it is not such an unusual event for torpedoes and components of torpedoes to be found underwater. All sorts of things get dumped at sea, including, it seems, dangerous weaponry. A live torpedo was inadvertently pulled up in a fishing net more than two years ago off the British coast, as was one off the coast of Rhode Island in 1985. (22) In a survey covering the period of March 2002 through February 2003, the British Royal Navy reported that “at least 15 items of explosives ordinance or their components had been recovered in the nets of fishing vessels operating in coastal waters around the British Isles.” Among the ordinance recovered were “torpedo components.” It was also noted that some items had been “dispersed from their original dumping or loss positions by water movements.” Oceanographic factors “can lead to quite substantial movements of large munitions.” In the 15-year period ending in 2000, German fisherman reported to officials in Lower Saxony having found a total of more than 11 tons of munitions, while Dutch fisherman net an average of ten explosives per year. (23) The torpedo recovered by South Korea may have been associated with the sinking of Cheonan, but it could also have been dumped at sea, or test fired during military exercises at some point in the past. It should also be noted that the Cheonan was sunk in disputed waters. After the Korean War, the U.S. unilaterally drew the Yellow Sea border between the two Koreas with a line that curved sharply northward to North Korea’s disadvantage, rather than in a straight line, as existed with the East Sea border and which would have been common practice. (24) The area has been the site of periodic naval clashes between the two Koreas, and it is not unusual for North Korean vessels to cross over this line that it does not recognize. The propulsion unit of the torpedo was severely corroded, an apparent result of the coat of paint having been burnt away by the heat of the explosion. It seems odd that the “number 1” written in Korean by a blue magic marker would survive intact. The boiling point for ink is less than half that of paint, so it would be more vulnerable to loss. (31) One cannot be sure that the handwriting was not added later by South Korean military officials for enhanced dramatic effect when presenting their evidence. Shin’s theory, however, does not seem particularly more convincing than that of the South Korean military. The JIG ruled out the possibility of running aground as the ship’s sonar remained undamaged. Shin counters, correctly, that a hull can run aground at one point while another is unaffected. But it could be that the ship’s propellers were damaged when the stern hit bottom after the Cheonan split in two. Or indeed, the damage to them may have resulted from some previous incident. It is far from certain that Shin’s theory accounts for what actually happened to the Cheonan. The JIG’s summary points out that there are no signs of collision on the Cheonan, and the hull damage does appear more consistent with that of an external explosion than of a collision. But the possibility of a collision did merit consideration. What is perplexing is that none of the various explanations that have been put forward quite seem to fit the totality of evidence. That high-ranking military officers would so causally lie and distort facts during a moment of crisis does not encourage confidence in their reliability to objectively analyze data and come to a considered conclusion in the investigation into the sinking of the Cheonan. Certainly not when political pressure to reach a predetermined conclusion would have been so intense. Interestingly, the investigators who probed into the military’s mishandling of its initial response to the sinking of the Cheonan revealed only a portion of the problems they had found. Information which they considered militarily sensitive was excluded. (37) That would seem to imply that additional distortions or misrepresentations had taken place. The South Korean military believes that it was a North Korean Yono (Salmon) class midget submarine that fired a torpedo at Cheonan. Of limited range, midget submarines must be ferried and launched by larger submarines. They can operate in shallow waters, unlike their larger counterparts. Even so, the waters around the sinking were too shallow even for a midget submarine, so it is thought that it had to have been operating from much farther away, in deeper waters. South Korea did track the departure of a Yono-class submarine and its mother ship from a North Korean port days before the sinking of Cheonan, as well as their return to base days after the incident. For the JIG, that constituted direct evidence of North Korean responsibility, although logically speaking, this is not in fact direct causal proof any more than a man would be proven guilty of murder simply because he was away from his home at the moment the murder took place. The most that could be said of the submarine tracking is that it is suggestive of a possible connection. Unquestionably, the South Korean government is sincere in its belief that a North Korean submarine fired a torpedo at the Cheonan. But in one sense that is the problem. So convinced was the JIG, that the team had a set of blinders on during the investigation, so that only one outcome was possible. And nothing would seem amiss if, whether knowingly or blindly, evidence was fudged or ignored to strengthen that case, as that would not change the overall facts as the team perceived it. North Korea vehemently denies the accusations being made against it. As the accused, North Korea is an interested party. It feels it has the right to see the evidence supporting the charges. North Korea asked on two occasions to send its own inspection team to operate under the joint control of both South and North Korea in order to conduct an investigation, but its requests were turned down by the South Korean government. North Korea sent a similar suggestion to the United Nations, only to be rebuffed by the United States, who indicated that the case against North Korea was already proven. Instead, the U.S. pushed hard for the strongest language in a UN Security Council statement, and attempted to browbeat China into going along. China, though, held firm in the interests of peace, ensuring that a more moderate UN statement resulted. With the U.S. and South Korea committed to taking a hard line, even North Korea’s proposal to reopen talks on denuclearization was snubbed. In order to bolster its case, South Korea agreed to allow a team of Russian naval military experts to visit and analyze the evidence. For the first time, there would be an objective assessment of evidence. There was good cooperation during the visit, and then the Russians returned home where they spent several weeks in analyzing the data. Russia, however, was in a delicate position when it came to publicizing its determinations. Openly backing Seoul would only encourage attempts by the U.S. to ratchet up tensions in the region, whereas dissenting from the JIG’s conclusion could strain relations with South Korea, an important trading partner. So it was not surprising when it was announced that Russia would not publicize its own report. There have been various leaks and comments made to the media which gave a fair indication of the Russian team’s evaluation of the evidence, clearly regarded as inconclusive. Russia supplied its report to the U.S. and China, but not to the South Koreans, apparently in a bid to avoid antagonizing them. But it did not take long for South Korea to be apprised of the results, no doubt by the U.S. Whereupon the Russian ambassador was called to the South Korean Ministry of Foreign Affairs and given a heated reception. Contrast that with U.S. plans for North Korea. That nation is quite likely correct when it claims that it had nothing to do with the Cheonan’s fate. But who needs an ironclad case when there are geopolitical goals to be achieved? The U.S. and South Korea launched large-scale joint military exercises in the East Sea, including the aircraft carrier USS George Washington, and for the first time U.S. F-22 stealth fighters flew in Korean airspace. The war games were clearly intended to be intimidating. As a consequence of blacklisting North Korean organizations and individuals, a diplomatic source says, the U.S. will suspend ties with any banks dealing with them. “Think of Citibank or Bank of America suspending business ties with Bank of China or Bank of Shanghai. That will be a great burden to China.” (57) There is debate within the Lee Administration as to how hard a line to pursue against North Korea. There are many who want to use the opportunity to topple the North Korean government, while those who favor dialogue are concerned that a harsh approach “could give rise to severe disorder.” According to one South Korean source, “If the government decides to continue sanctions for more than six months even after the G20 summit, it could be interpreted as an important strategic choice to actively pursue regime change in the North.” (58) Leaving aside the question of the inevitable hardship and misery for the North Korean people that would ensue from tightening the screws, there could be a heightened risk of conflict between the two Koreas if the situation deteriorates out of control. The assertion that the North Korean accounts to be targeted are linked to illegal operations is reminiscent of similar efforts by the George W. Bush Administration, when North Korean accounts engaged in legitimate business were closed and banks throughout the world were threatened with harsh financial consequences if they continued to allow North Korea to conduct normal international financial operations. All that was done under the unproven (and in some cases clearly disproven) contention that the accounts were connected with illegal activities. The intent was to dry up North Korea’s access to foreign currency, and thus its ability to import essential items such as food, spare parts and machinery. President Lee Myung-bak of South Korea has also seized the opportunity presented by Cheonan’s sinking to further his goals. As a long-time opponent of the Sunshine Policy of his two predecessors, Lee never hid his ambition to dismantle all of the progress that had been made in recent years with relations between the two Koreas. No sooner had Lee taken office than he announced that he had no intention of observing the agreement signed by former President Roh Moo-hyun that set up a joint fishing area in the disputed waters at the Northern Limit Line, and which included measures to discourage military clashes there. Several economic agreements that had been reached were put on hold. Once the JIG had announced the results of its investigation, Lee outlined a new policy with his northern neighbor. “From this moment,” he said, “no North Korean ship will be allowed to make passage through any of the shipping lanes in the waters under our control, which has been allowed by the Inter-Korean Agreement on Maritime Transportation.” In addition, “Trade and exchanges between the Republic of Korea and North Korea will also be suspended.” Relations between the two Koreas have deteriorated to their lowest point since the period of military dictatorships in South Korea, and U.S. sanctions will only exacerbate tensions. Did a North Korean submarine fire a torpedo at the Cheonan? I do not know, but it seems improbable. If it was a torpedo that sank the Cheonan, then it certainly was not the one that the JIG put on display. It would have been foolhardy for the North Korean government to order such a strike. It had nothing to gain, and absolutely everything to lose by such an act. It may be that a rogue commander ordered the attack as revenge for an incident near Daecheong Island the previous November, when South Korean ships chased a North Korean patrol boat, firing on it and sending it up in flames, thereby causing the deaths of several sailors. That attack, incidentally, failed to elicit any concern whatsoever from the same U.S. officials who so sternly pontificate on the unacceptability of allowing the sinking of Cheonan to go unpunished. While reviewing the evidence, it began to appear to me that the most likely cause of the Cheonan’s sad fate was having had the misfortune to inadvertently sail into the path of a sea mine, and this feeling has only been strengthened by the reports of the Russian investigation team’s findings. Given the fast-moving currents in the waters near Baengnyeong Island, it may be that over time a rising mine gradually migrated from where it had been initially deposited, so that its position was unexpected. That is just speculation, of course, and other possibilities exist. A broad-based international investigation needs to take place, and its results made fully public. The 46 sailors who lost their lives when the Cheonan sank deserve the truth, whatever it may be. As do the peoples of both Koreas, whose future is intertwined in so many ways. But geopolitical considerations guarantee that no such international probe will take place. Tensions are likely to remain high as long as South Korean President Lee remains in office. No conceivable change in U.S. administrations will bring about an improvement in the security environment on the Korean Peninsula, but the 2012 election in South Korea might. That is something to hope for. (3) “Questions Raised Following Cheonan Announcement,” Hankyoreh (Seoul), May 21, 2010. (5) Chris Bennet, “Mine Warfare at Sea,” African Security Review, Vol. 7, No. 5, 1998. (6) “How Did N. Korea Sink the Cheonan?”, Chosun Ilbo (Seoul), May 22, 2010. (7) “Strait of Hormuz: Assessing Threats to Energy Security in the Persian Gulf,” The Robert S. Strauss Center for International Security and Law. (11) “Cheonan Investigators Presented Wrong Torpedo Diagram,” Chosun Ilbo (Seoul), June 30, 2010. Kim Deok-hyun, “Investigators Admit Using Wrong Blueprint to Show N. Korean Torpedo That Attacked Cheonan,” Yonhap (Seoul), June 29, 2010. (12) “N. 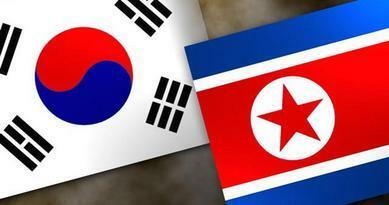 Korea Used Chinese-Made Torpedo in Attack on S. Korean Ship: Source,” Yonhap (Seoul), May 19, 2010. (14) “U.S. Pinpoints Where Torpedo that Sank the Cheonan was Made,” Chosun Ilbo, July 23, 2010. “NK Torpedo Produced in Gaecheon 2 Years Ago: Sankei,” Korea Times, July 22, 2010. (15) Chang Jae-soon, “Defense Chief Confirms Explosive Chemical Found in Sunken Ship,” Yonhap (Seoul), May 10, 2010. “Torpedo Explosive Detected in Sunken Ship: Official,” Yonhap, May 7, 2010. (16) http://www.answers.com/topic/explosive-material. Jung Sung-ki, “Defense Chief Confirms Explosive Residue Found on Sunken Ship,” Korea Times, May 10, 2010. (17) Walter Jayawardhana, “Canadian Authorities Tell Immigration and Refugee Board that LTTE Ship Contained Traces of High Explosives Like RDX,” LankaWeb, November 25, 2009. “Canadian Officials Find Three More Traces of Explosives on Tamil Ship,” Colombo Times, November 24, 2009. (20) Jung Sung-ki, “Investigators Point to Air Bubble,” Korea Times, April 25, 2010. (21) Junghye Kwak, Huisun Kim, Taeho Lee, “The PSPD’s Stance on the Naval Vessel Cheonan Sinking,” People’s Solidarity for Participatory Democracy Issue Report IR-20100601, Seoul. (22) “Navy Detonates Torpedo Caught in Fishing Nets,” Defence News, January 29, 2008.”Navy Detonates Torpedo Caught in Fishing Nets,” UPI, December 18, 1985. (23) J. Beddington and A.J. Freng, “Munitions Dumped at Sea: A Literature Review,” Imperial College London, June 2005. (25) Seunghun Lee, J.J. Suh, “Rush to Judgment: Inconsistencies in South Korea’s Cheonan Report,” The Asia-Pacific Journal: Japan Focus, July 12, 2010. (29) Shin Joo Hyun, “Ministry of Defense Responds to Cheonan Claims,” Daily NK, June 23, 2010. (31) Seunghun Lee, J.J. Suh, “Rush to Judgment: Inconsistencies in South Korea’s Cheonan Report,” The Asia-Pacific Journal: Japan Focus, July 12, 2010. (33) Junghye Kwak, Huisun Kim, Taeho Lee, “The PSPD’s Stance on the Naval Vessel Cheonan Sinking,” People’s Solidarity for Participatory Democracy Issue Report IR-20100601, Seoul. (34) Lee Yong-inn, “Questions Linger 100 Days after the Cheonan Sinking,” Hankyoreh (Seoul), July 3, 2010. (36) “Cheonan Probe Says Military Made Grave Errors,” Dong-A Ilbo (Seoul), June 11, 2010. “Uncovering the Truth About the Cheonan,” Hankyoreh (Seoul), June 11, 2010. “Wide-Ranging Incompetence and Cover-ups Took Place Night of Cheonan Sinking, Audit Reveals,” Hankyoreh (Seoul), June 11, 2010. (37) Ser Myo-ja, “Military Found Inept, Lying in Responding to Cheonan,” JoongAng Ilbo (Seoul), June 11, 2010. (38) “How Did N. Korea Sink the Cheonan?”, Chosun Ilbo (Seoul), May 22, 2010. (39) “Questions Raised Following Cheonan Announcement,” Hankyoreh (Seoul), May 11, 2010. (40) “South Korea to Unveil Evidence of North Sinking Navy Ship,” CBS News, May 19, 2010. (41) Barbara Demick, “Doubts Surface on North Korea’s Role in Ship Sinking,” Los Angeles Times, July 23, 2010. (42) Sunny Lee, “China Has Different View on Cheonan,” Korea Times (Seoul), July 18, 2010. (43) Lee Yeong-in, “Government Protests Russia’s Conflicting Cheonan Finding,” Hankyoreh (Seoul), July 10, 2010. (44) Yoo Jee-ho, “N. Korea Warns ‘Physical Response’ Against South – U.S. Military Drills,” Yonhap (Seoul), July 23, 2010. (45) “Russian Specialists Have Questions on S. Korean Corvette’s Sinking – Navy Commander,” Interfax (Moscow), July 24, 2010.”Russian Experts Unable to Give Answers on Cheonan Sinking – Navy Commander,” RIA Novosti (Moscow), July 24, 2010. (46) “Russian Navy Expert Team’s Analysis on the Cheonan Incident,” Hankyoreh (Seoul), July 27, 2010. “‘Complex Combination of Factors’ Responsible for Cheonan Sinking, Russian Investigation Concludes,” Hankyoreh (Seoul), July 27, 2010. (47) “Russian Navy Expert Team’s Analysis on the Cheonan Incident,” Hankyoreh (Seoul), July 27, 2010. (48) “Lee Administration Response to Russian Investigation Report,” Hankyoreh (Seoul), July 28, 2010. (49) Colum Lynch and Debbi Wilgoren, “U.N. Calls for Impartial Probe of Israeli Raid,” Washington Post, June 1, 2010. (50) Danielle Kurtzleben, “Despite Rift, Israel Gets More U.S. Aid Than Iraq,” U.S. and World News Report, July 6, 2010. (51) Jung Sung-ki, “US to Deploy Airborne Network in South Korea,” Korea Times (Seoul), July 2, 2010. (52) Michael Sheridan, “Clinton to Wage Digital War on Kim for Sinking Ship,” Sunday Times (London), May 23, 2010. (54) “U.S. to Impose Sanctions on N. Korea in 2 Weeks,” Chosun Ilbo (Seoul), July 23, 2010. (55) “US to Freeze 100 N. Korean Bank Accounts,” Dong-A Ilbo (Seoul), July 23, 2010. (56) Kim Ji-hyun, “‘Chinese Banks Cannot Escape U.S. Sanctions’,” Korea Herald (Seoul), July 26. 2010. (57) Hwang Doo-hyong, “U.S. Closely Watching Front Companies North Korea Uses to Evade Sanctions: State Dept.,” Yonhap (Seoul), July 27, 2010. (58) “‘Stronger Action on NK Aims for Regime Change’,” Dong-A Ilbo (Seoul), July 26, 2010. (59) Kang Chan-ho and Ser Myo-ja, “U.S. Froze North Korean Bank Accounts Since June,” JoongAng Ilbo (Seoul), July 23, 2010. (60) Steve Herman, “Sanctions Expected to Harm North Korean Economy,” Voice of America, July 23, 2010.